Some of you may remember Lionel City Builder 3D: Rise of the Rails, a train simulator that came to the 3DS in North America in January. We thought it was quite enjoyable in our review, giving it a recommendation, though at the time no European release date was on the cards. Fortunately, it seems as though that will be changing soon. What do you think? Will you be picking this up? Why do you think there are so many train games for the 3DS? Drop us a comment in the section below. "Pokémon had better watch out"
I really didn't care for this game one bit. Super boring. @Spoony_Tech Well, it is a Train simulator. There isn't anything flashy about it. Though i do respect it being a game about Trains. Needs something over the top to make it interesting. Will this be the game to derail Pokémon? Nah. If anything, Pokémon will track 15 million sales and this game will be forced to wait at the crossroads of failure. God, I wish the 3DS/Wii U had a proper city simulator. Eh...not interested with Train Simulator. ...who's keeping track?...lol..full steam ahead then.. I admit that I only clicked on this article because of the "Pokémon better watch out" tagline. @Sabrewing Take the A-Train 3DS is more of a city simulator than I could handle, though Lionel City Builder was.... Well, I bought it and played it really hard once and never again. Lionel Trains on Track DS was the best Nintendo-system train simulator/manager I've played yet. @polarbear not a big pokemon fan then? @arcanine-is-here I have Pokémon Y, it's great but one game in the series is enough for me. 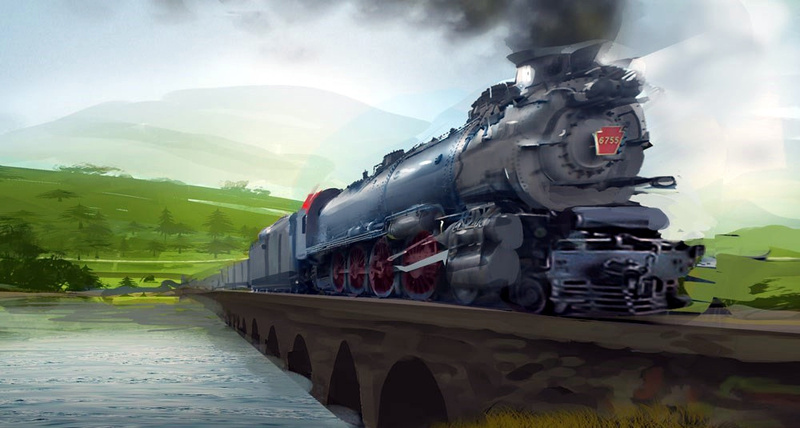 I try to get games in different genres and I have nothing like this train game. I'll wait for Super Mario Train Maker. It'll take a lot more than that to derail Pokemon. I have the A-Train 3D. Superb game, was disappointed with the review here. Smells like Shovelware! Graphs are horrible and it just looks boring overall.